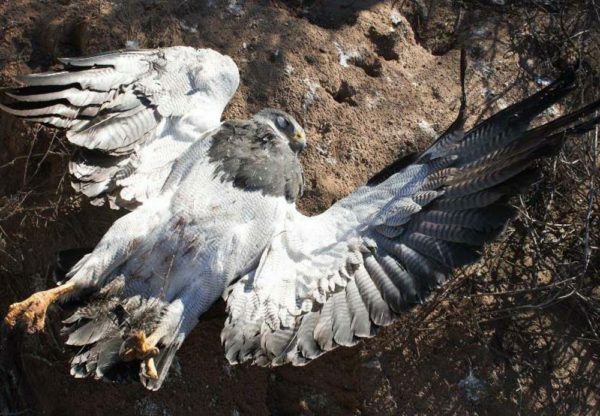 Adult black-chested buzzard-eagle dead under transmission pole from electrocution. 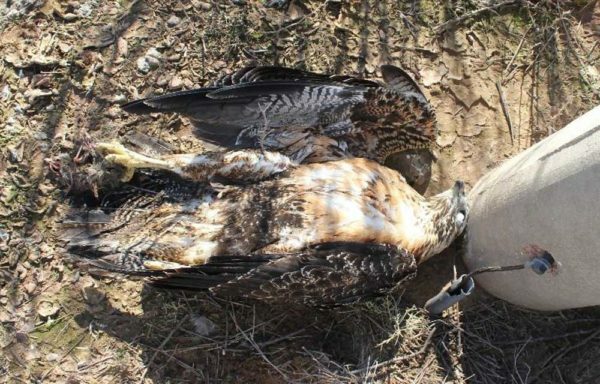 José Sarasola surveys power lines for raptor kills in La Pampa Province, Argentina. Photo from CECARA. Adult black-chested buzzard-eagle dead under transmission pole from electrocution. Photo from CECARA. Black-chested buzzard-eagles are not common breeders in La Pampa but typically nest in the foot hills and mountains. José believes that the young birds may have dispersed from northern Patagonia or the hills of Córdoba province. Documentation of this event highlights important conservation concerns.Hazards such as unprotected electrical lines may cause significant demographic impacts to wildlife. These hazards may sit idle causing relatively little impact until some trigger such as a rodent outbreak brings a population into contact with them. Finally, the impact itself may not be local but may be focused on distant populations as is the case here. 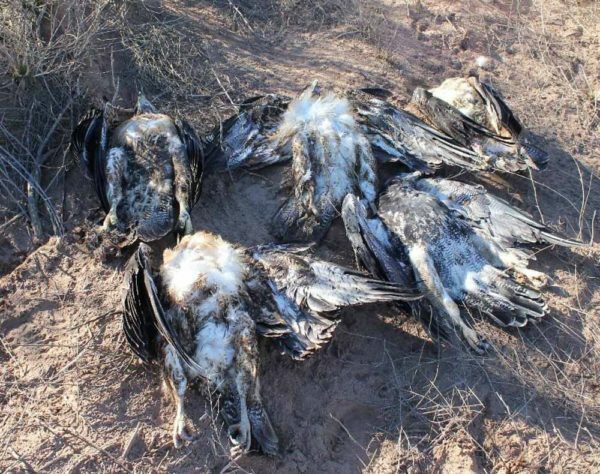 Carcasses of young black-chested buzzard-eagles found under power lines in Argentina. Photo from CECARA. 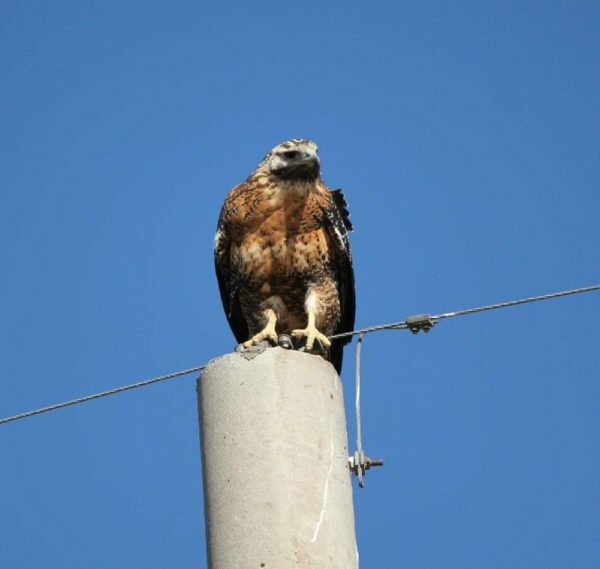 Young black-chested buzzard-eagle perched on unsafe transmission pole. Photo from CECARA. Young black-chested buzzard-eagle dead under transmission pole. Photo from CECARA. Read more about the crowned solitary eagle dispersal and survival tracking project.